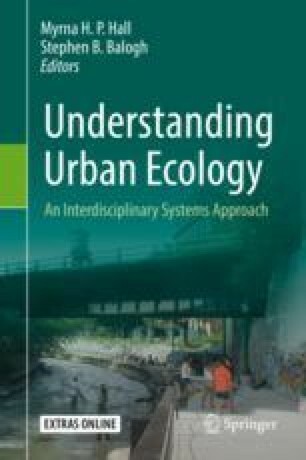 This chapter reviews the major themes and insights of the book and provides a glimpse into cutting-edge and future research in urban ecology. I would like to thank Myrna Hall for her review and suggestions which improved this chapter. The research described herein was developed by the author, an employee of the US Environmental Protection Agency (EPA), on his own time. It was conducted independent of EPA employment and has not been subjected to the Agency’s peer and administrative review. Therefore, the conclusions and opinions drawn are solely those of the author and are not necessarily the views of the Agency.